To empower and inspire communities to reach their full potential through education, economic development and promotion of the entrepreneurial spirit. Kapoks contributes to thriving and entrepreneurial communities by offering effective educational opportunities, providing business coaching, and instilling belief in individual and collective power to fulfill dreams. The Kapok tree is the largest tree in the Amazon. It provides a place for a variety of types of plant, insect and animal life to prosper. The tree relies on other species to help it prosper by spreading its seeds to surrounding areas. 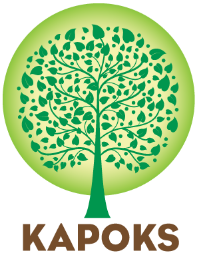 Kapoks’ is an organization, like the tree, that provides an environment that empowers individuals to reach for their dreams and achieve their full potential. Kapoks relies on the same people it supports to promote its successful methodology. We thrive when our partners thrive. Kapoks took the plural of Kapok to symbolize our desire to influence as many communities as possible. 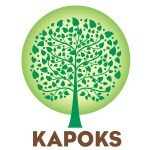 Kapoks incorporated the symbol of the Kapok tree into the brand. The logo, color scheme, website and social media sites all reflect Kapoks' “natural relationship” with the communities it serves. Please see the Rainforest Alliance website to learn more about the Kapok tree. 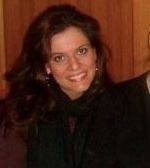 Marise Cipriani is the founder and inspirational leader of Kapoks. 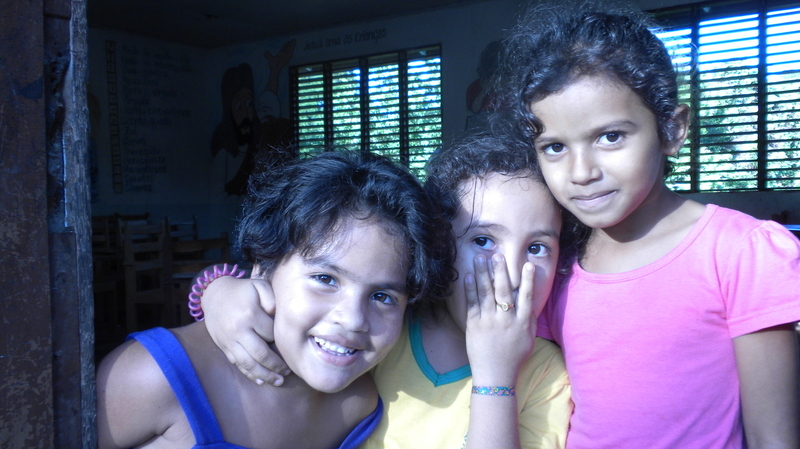 Marise desired to found an organization for many years that could make support positive changes in her birth country of Brazil. It was a recent business trip, however, to a poor community in remote northern Brazil that finally inspired the creation of Kapoks. "Kapoks is a combination of three things that are very important to me: Compassion, empathy and the entrepreneurial spirit. As many of you know I have been in business for most of my life. From an early age my father, an entrepreneur with great vision and ethic, inspired me. What better way to give back to the world than to help other passionate entrepreneurs get started on the road to success?" Marise is the founder and CEO of Granby Ranch. Granby Ranch is a four-season mountain community nestled in the Rocky Mountains in the town of Granby, CO. Granby Ranch offers the ultimate family mountain community with a variety of green-built and mountain-inspired cabin, condominium, and single-family home neighborhoods.Granby Ranch boasts the slogan, "Don't just play, come to stay—for a week, or for a lifetime." Marise lives in Boulder, CO and has two wonderful children. Extensive travel and work experience in remote and economically challenged communities around the world influenced Heath’s decision to assist in founding Kapoks. He worked in the fields of commercial banking and health and fitness for over 15 years before changing paths with Kapoks. 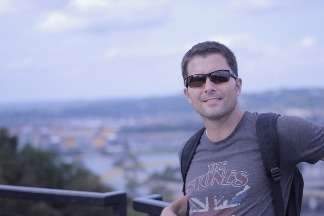 Heath is inspired by business development and leadership. He founded and assisted in development of businesses in the areas of physical therapy and personal training in California and Arizona. "I am lucky to have the opportunity to be involved with Kapoks and people like Marise Cipriani. Marise's mentality of perpetual learning and belief in the goodness of humanity reinforce my own beliefs. Kapoks allows me to act on one of my primary beliefs, that every person should have the opportunity to improve his or her life." The Kapoks Board consists of successful and inspirational individuals from a variety of fields and influences. They have combined their knowledge and passion because of their belief in Kapoks' capacity to empower and inspire communities through free and confidential business coaching. How do workers negotiate identity? How does work shape our understanding of self, family, and community? These are a few of the questions that drive Dr. Bauer’s research in Public Relations and Organizational Communication. 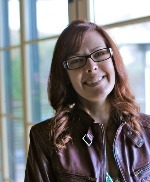 Dr. Bauer began work at Chico State University in 2014. She received her Ph.D. in organizational communication from the University of Colorado and previously taught at James Madison University. Inspired by the intersections of her own personal and professional experiences, Dr. Bauer has investigated the above broad questions through qualitative research on how bereaved employees talk about grief in relation to work. Theoretically, Dr. Bauer states she is driven by critical and feminist commitments that encourage the interrogation of power structures. A native of Sao Paulo, Brazil, Melissa was raised and educated in Miami, FL for the first 18 years of her life. After attending college at the American University, in Washington DC, where she received B.A. in Business Administration, Melissa relocated to Colorado where she accumulated over 10 years of experience in real estate development and operations. She is a partner at Granby Ranch, where she focuses on business development and strategy for a 5000-acre master planned second home community in Granby, CO. Prior to this she was VP of Operations at Granby Ranch. She is also managing partner at SolVista Corp, where she leads a small family office with experience in evaluating cash-flow projections for various investment projects and evaluating new business opportunities for the group. Melissa is presently enrolled in the Owner/President Management Program at Harvard Business School. She has also served as a volunteer for BrazilFoundation, a non-profit organization based in NYC that focuses on raising funds in the US for various social projects throughout Brazil. Melissa currently resides in NYC. Over 30 years of experience in accounting and business management. 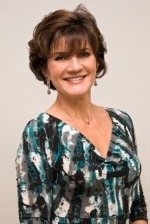 She is currently President of Golden Bottomline Consulting, Inc., an accounting and business services consulting firm founded in 2006, providing management services to small businesses looking to outsource their needs for financial and special project management. She is a past vice-president of the Grand Foundation, a non-profit organization which raises funding to support grants for other non-profits in Grand County in Colorado. Julie has over 20 years of experience serving on the Board of Directors of metro districts and homeowners associations throughout Colorado. Julie and her husband reside in Golden, Colorado. Dr. John Douillard, DC has been teaching natural medicine and Ayurveda for 22 years and has written and produced 18 health and fitness books, CD's and DVD's. He publishes a free Wellness video/newsletter on current health issues and cutting edge nutritional research, and is the author of The Yoga Body Diet, The 3-Season Diet; Body, Mind, and Sport; Perfect Health for Kids and The Encyclopedia of Ayurvedic Massage. He is the former Director of Player Development of the New Jersey Nets in the NBA and the creator of the LifeSpa Ayurvedic Skincare and Herbal Line and currently directs LifeSpa, an Ayurvedic Retreat Center, where he offers consultations (in person or over the phone) and personalized Panchakarma Detox Retreats. Dr. Douillard received his Ayurvedic training in India. He lives with his wife and six children in Boulder, CO. See his site for more life-changing information. Stan brings many years of experience in philanthropy and the legal profession to the Kapoks Board. Stan is an accomplished businessperson on his own and understands and believes in the power of economic development through business coaching to support community growth and prosperity. A native of Miami, Nicole recently relocated to Los Angeles and transitioned from the practice of transactional real estate law to non-profit consulting. She is currently employed by Starfish Impact, a consulting firm in Los Angeles, and assists with grant writing and general non-profit development. Prior to relocating to Los Angeles, she worked for 3 years as an associate in the Miami office of Holland & Knight LLP. She is admitted to practice law in both Florida and California, and is a fluent Spanish-speaker. Nicole obtained both her J.D. and LL.M. from the University of Miami School of Law, and has a B.A. in International Affairs and Latin American Studies from George Washington University. She resides in Venice, California with her husband and is actively involved in various community organizations.